Birch Gold Group is a major precious metals company based in Burbank, California, next door to Warner Bros. Studios. Founded in 2003, the company has helped thousands of Americans protect their wealth from the dollar’s ongoing decline with physical precious metals. Founded in 1912, the Better Business Bureau (BBB) is a nonprofit, self-regulating organization focusing on advancing marketplace trust. The BBB collects and provides free business reviews to millions of consumers, alerts the public about scams, and reviews advertising practices. In 2012, the BBB had 100 million consumer requests, which made the BBB’s website one of the 300 most-visited in the United States. Nearly 1 million consumer disputes were handled by the BBB in 2012. Accreditation: BBB accredited business since 11/14/2011. Business rating: A+ (on a scale of A+ to F). Reason for rating: Factors that raised Birch Gold Group’s rating include: length of time business has been operating, no complaints filed with BBB and sufficient background information on this business. The Business Consumer Alliance, the former Better Business Bureau of the Southland, is a non-profit organization which began business in 1936. The BCA’s purpose, according to their website, is “to promote business self-regulation” by “assisting consumers in resolving complaints with businesses and using that complaint information along with other relevant information like customer reviews to forecast business reliability.” To help the public identify reputable and unreputable businesses, the BCA uses a sophisticated algorithm that evaluates different aspects of a business, assigning letter grades that range from AAA to F. The company is funded by member businesses who support its mission and meet high ethical standards. Government actions: No reports of any government actions against this company. Birch Gold Group has received a large number of positive reviews and high ratings on review sites. In fact, our company’s success has been largely influenced by the word-of-mouth effect of online consumer reviews, which often recommend our precious metals services to others. TrustLink is a business review website that allows consumers to write reviews regarding the services of businesses they’ve used. Reviews on TrustLink are posted without editing and businesses are not allowed to pay for rating or post their own reviews. The service was originally founded by the Better Business Bureau (BBB) in 2008. 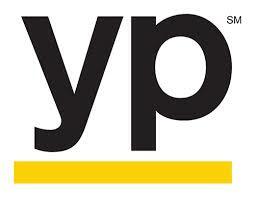 YP (Yellow Pages) is a contact directory that connects consumers to businesses. In addition to providing business phone numbers, locations and addresses, YP’s website also offers a platform for consumers to write business reviews. Birch Gold Group is one of the leading U.S. firms for investing in precious metals. We specialize in helping Americans diversify their portfolio by adding gold and silver to their IRA’s and 401(k)’s. To learn more about how you can get started with precious metals, give us a call at (800) 355-2116.